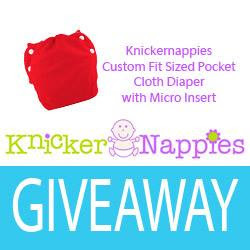 Win a Knickernappies Custom Fit Diaper in this giveaway Sponsored by Cloth Diaper Outlet at The Kelly Wels Blog! One lucky winner will receive his/her choice of size and color of a Knickernappies Custom Fit Pocket Diaper and a micro insert! Find custom fit diapers at Cloth Diaper Outlet and many of our other retailers! 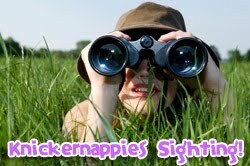 Do you have a Knickernappies sighting to share? Have you reviewed or written about Knickernappies? Send us a link! Using Cloth Diapers to TEACH your preschooler! Make the switch to reusable nursing pads!